Happy 2019 y’all. I’ll be spending some quality time working on new batches of tunes this year. Stay tuned for further updates…. 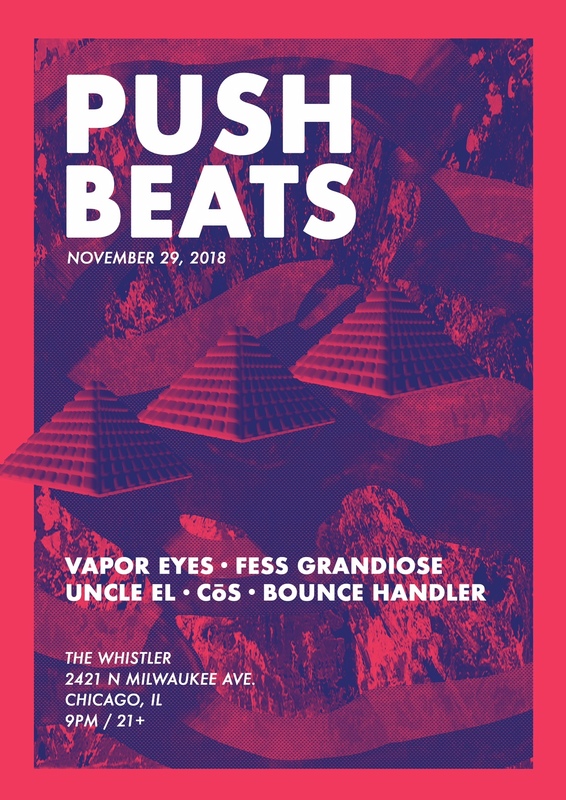 Join me and the squad at The Whistler on Thursday, November 29 for our last Push Beats Monthly event of the 2018 calendar year! 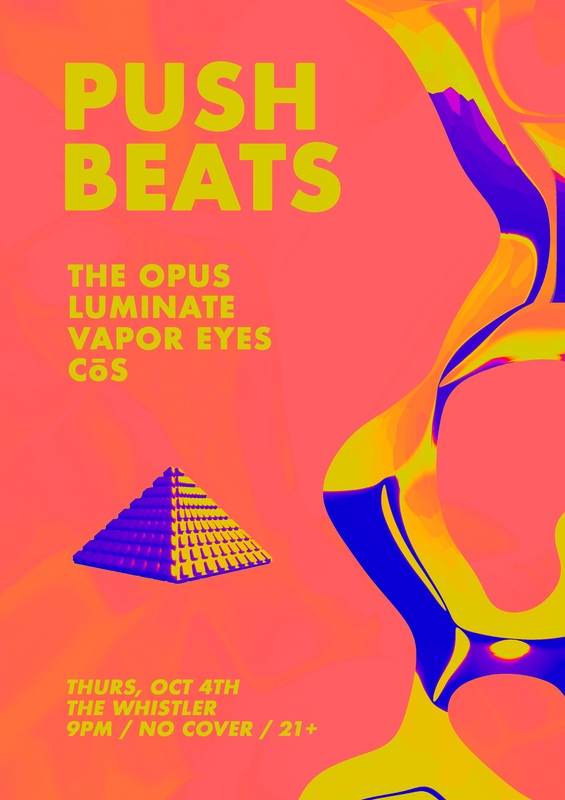 Recently just announced 2 amazing gigs I’m thrilled to be a part of in November! Tix are available now for each show… both are 18 & over events. 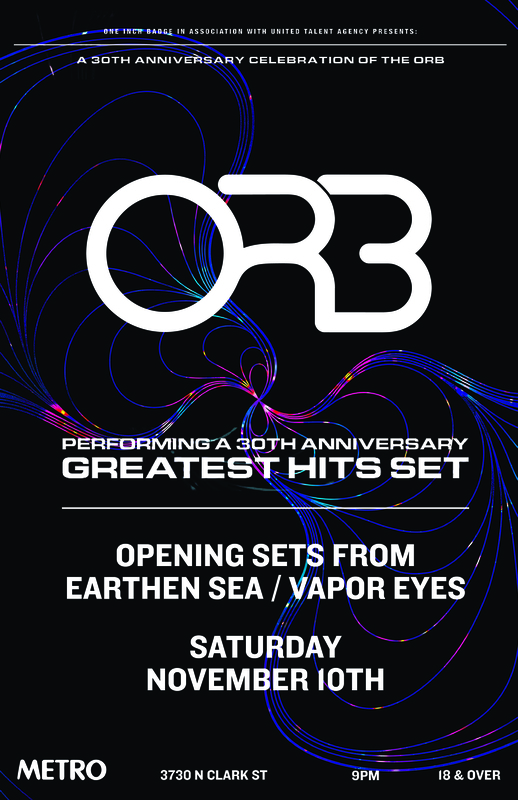 11.10.18 @ Metro – The Orb (30th Anniversary) w/ opening sets from Earthen Sea / Vapor Eyes – Tix on sale here. 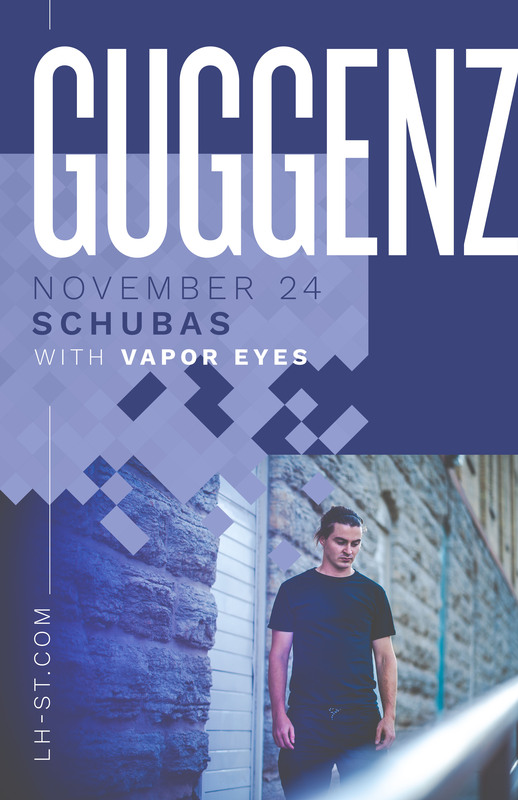 11.24.18 @ Schubas – Guggenz with special guest Vapor Eyes – Tix on sale here. 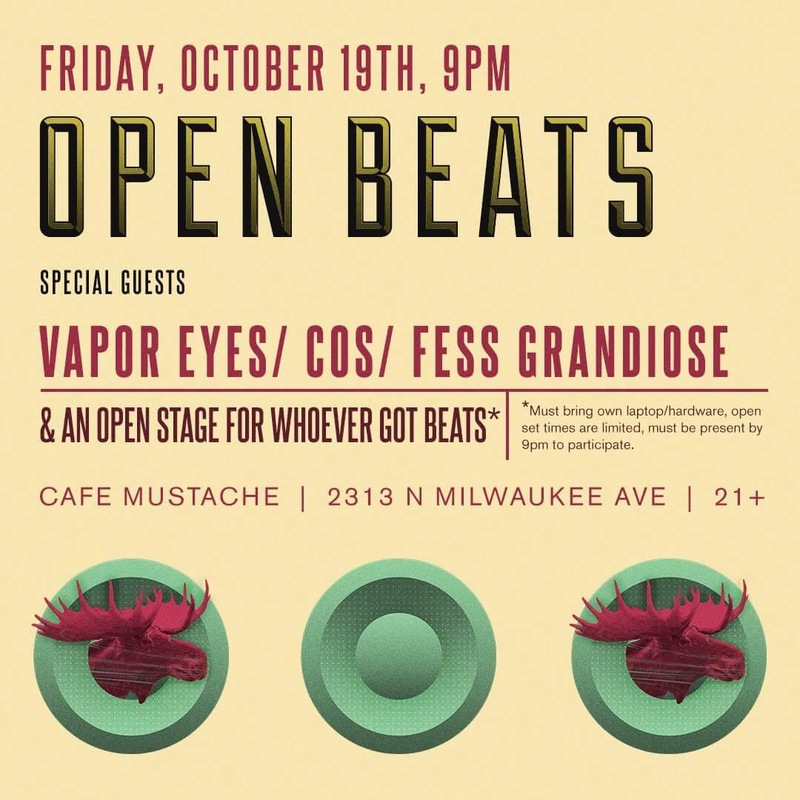 Very happy to be returning to perform at Open Beats monthly at Cafe Mustache on October 19th. I’ll be joining my pals Fess Grandiose and Cos for a nite of chills and thrills. Pumped to be back again at North Coast Music Festival in Chicago this forthcoming Labor Day weekend! 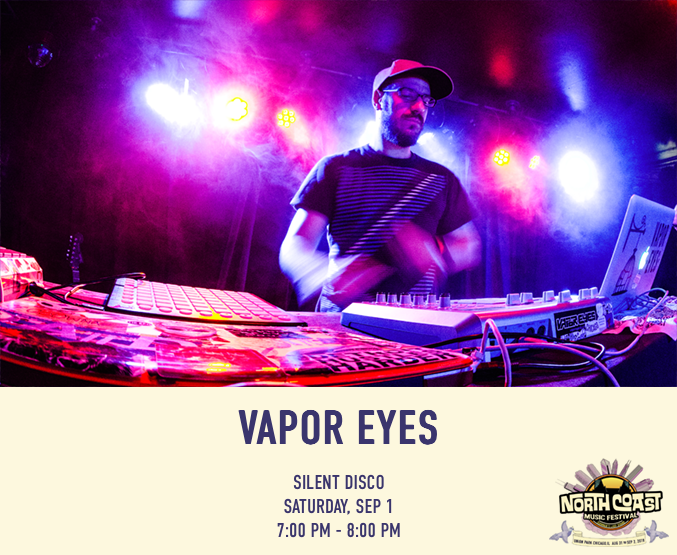 Catch me Saturday nite on the Silent Disco stage from 7-8pm. 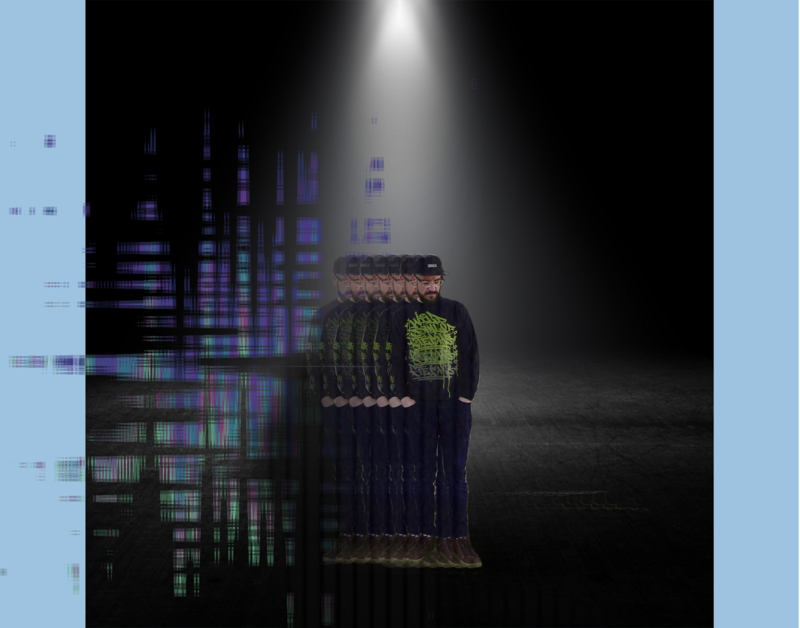 Last December I produced all the beats on Rich Jones Light Work EP. The video for our track ‘Duffle’ has just dropped and its a wild and stunning piece via StripMall Productions. Give it a view below. (c) 2013 vaporeyes.net. All rights reserved.